We've got a brand new gym, and we're not afraid to use it! This summer we're expanding our gym summer camp offerings. New to gymnastics??? Try out our Flip into Summer Gymnastics camp. It's designed for beginner to brand new gymnasts who are interested in learning new skills and having a great time. We've also got a dedicated NinjAction Camp for those aspiring ninja warriors. It's got martial arts, gymnastics, parkour, and rock climbing! We're also going to offer two Advanced Clinics. These are designed for skilled gymnasts who want to develop technique and push their skills to the next level. In December of 2017 we moved to our new gym in the GreenSpace Center. This location was formerly the Lewisburg High School and we fully renovated over 13,000 sq feet of space into a state of the arts gymnastics center. We've got a Multipurpose Room for specialized classes like ParentTot and Martial Arts. We have a fully renovated locker room with 9 changing stalls, We have beautiful Main Gym that features Air Conditioning, New Equipment, and a FOAM PIT. The new gym is located at 815 Market Street. Please in the west lot closest to Route 15. The entrance to the lot is on Saint Louis Street. For gymnastics camp you'll need to enter the building through Door 23. The door numbers are posted above each door. 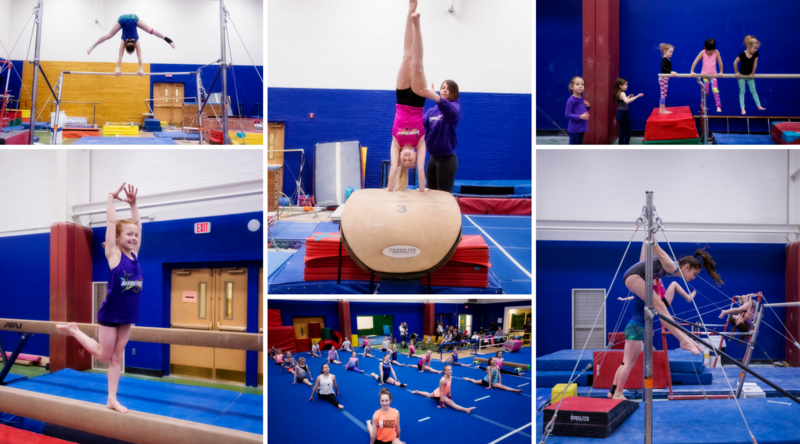 This camp is a great way for kids to experience all the fun that the BVRA Gymnastics center has to offer, even if they don't have gymnastics experience! Games, strength training, obstacle courses, and basic gymnastics will all be a part of this camp! Energy Gymnastics got a big bump over the last few years with a new facility, new equipment, and a foam pit! This is the first summer we feel ready to host a camp for competitive gymnasts, and we want to share it with you! We have invited Steve "Maverick" Haas to be our guest coach. Steve has been involved in the gymnastics community for decades as a coach, staff at Woodward, event announcer, and equipment rep. We are excited to have him lead our staff and your kids through a two-day event capitalizing on Steve's expertise." This camp is designed to give kids a taste of what goes into training for shows like American Ninja Warrior and Ultimate Beastmaster. This camp will touch on gymnastics, parkour, martial arts, rock climbing, and the fundamental strength training necessary to accomplish the challenges presented on those programs. Instructors for this camp will include BVRA Gym Director John Rowe, and Ramsey Martial Arts Master Jeff Ramsey. This camp will be located at the BVRA Gymnastics facility, but will also spend one day at the Milton Rock Gym. Transportation to the Milton Rock Gym must be provided by parents. Comfortable gym clothing. We will be running around like crazy! Dress to be comfy and stay cool! A snack will be provided, but campers are welcome to bring a supplemental snack. Flip Into Summer & NinjAction: Outdoor shoes & sunscreen. We will be getting outside at least once a day for fresh air and play. Don’t Bring: electronics, valuables, other items that might be lost or distract from camp. Additional child Discount:. Siblings from the same household will receive a discount of 10% off their total camp fees for that week. *Resident rates are reserved for those living in East Buffalo Township or Lewisburg Borough. 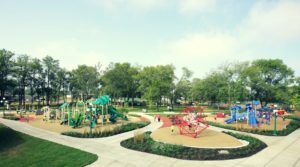 Residents of these municipalities a discount because tax dollars from Lewisburg Borough and East Buffalo Township support the recreation authority. **To qualify for the additional child fee, you must have at least two children from the same family registered for any BVRA camp program (mini-camp, day camp, adventure camp) during the same week. Log into your account and add the full summer, or the individual weeks you would like to register for. After you complete registration a receipt will be sent to your email. On May 1, 2019 you will be emailed a camp packet. This packet will contain everything you need to know about summer camp, as well as a variety of forms. All forms need to be received by BVRA before the first day of camp. Your child cannot attend camp without a completed packet. A 50% payment upfront is required at the time of registration and to reserve your child’s space. Remaining balances must be paid in full by June 1, 2019. Online registrations will automatically be billed the full amount. To pay only the 50% deposit please call the office at 570-524-4774. Payments can be made in cash, check, or credit card. On May 1, 2019 parents of an enrolled camper will receive the official 2019 Parent Packet. Printed paper copies can be picked up at the BVRA Office. We must receive your child's completed enrollment packet with contact, medical, and other pertinent information completed, before your child may start camp. If a specific week of camp enrollment is full, additional requests for space will be placed on a waiting list with priority based on the order in which completed enrollment forms are received. If a vacancy occurs, the individual at the top of the waiting list will be given until 5:00 p.m. on the following business day in order to accept the vacancy and pay any fees that are due. If this does not occur, the vacancy will be made available to the next subsequent individual on the waiting list. Weeks are fully refundable minus a $25.00 fee for each refund transaction (if you return multiple weeks at once, you will only be charged $25.00). Refund requests must be received one week in advance of the start of camp. Later requests will only be refunded if the child’s spot can be filled. * If a child becomes sick after a camp week has begun, a refund may be available for an extended illness of four or more consecutive days. A doctor's note and written note from the parent or guardian explaining the situation is required. Upon review, participants may receive a full refund for the unused days. Registrants wishing to transfer or switch weeks must do so by calling the BVRA office at 570-524-4774. Requests must be received by the Friday before the Monday start of a camp week. Requests will only be approved if space is available. Later requests will only be transferred upon approval from the BVRA office. Register soon! Spaces are limited!